Abi Saeed is telling me, and the others here at the Carbondale library, that gardeners are perfectionists in a very imperfect hobby. Saeed is an expert on agriculture and horticulture at the Colorado State University Extension office in Garfield County. 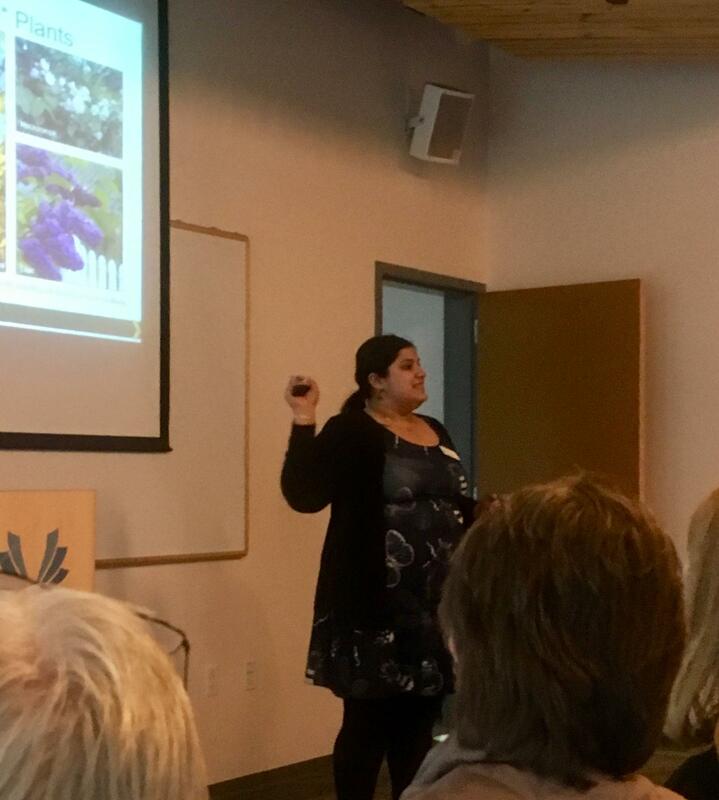 In the last couple of seasons, I’ve managed to grow a few small zucchini, and that’s about it, so I caught up with Saeed after her lecture to ask her more about creating a garden in the mountains. She has tattoos of ants crawling across one shoulder, and wears a blue dress, printed with bees. Mountain gardening, she says, is challenging, with unpredictable weather and a notoriously short growing season, but the payoff is worth it. "Getting to see a strawberry on a plant and picking it and eating it is so much more satisfying when you grew that," she said. I’m reassured when Saeed tells me that she kills plants all the time. "If you’re not killing plants, you’re not trying hard enough," she said. There are a few steps gardeners can take to help ensure that they don’t kill all their plants, though. Step one is to test your soil. "Soil comes from parent materials, which usually means things like rocks," Saeed said. The same granite mountains that tower over us make up the soil under our feet, and it doesn’t hold nutrients well. Vegetables pull even more out of it, so you need to put some nutrients back in. "If you’re vegetable gardening every year, you’re probably going to need to add new compost or organic matter and fertilizers to your vegetable garden pretty regularly," said Saeed. People can send soil samples to the Garfield County CSU extension office, and get a report back that tells them exactly what they need to add to their dirt to get ready for planting. Step two is choosing what to grow. That means resigning yourself to the short growing season here in the high country and the threat of frost that extends into late spring. 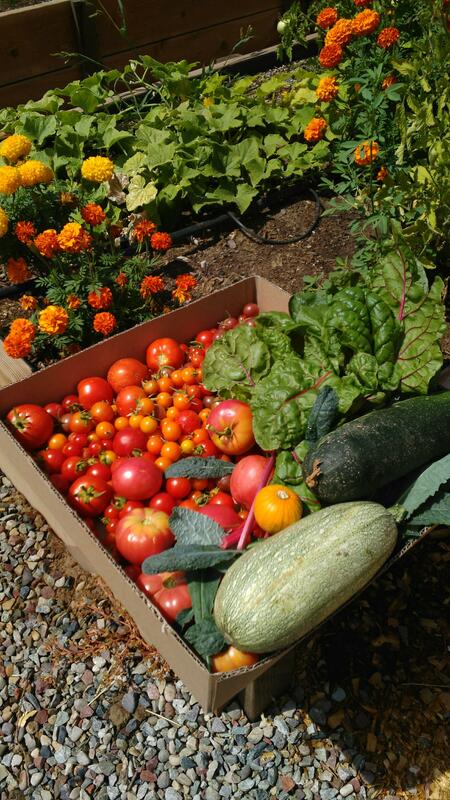 We can’t plant just anything; we need hardy produce that matures quickly. Things typically harvested in late summer, like watermelons or pumpkins, probably won’t work. Those peppers I once planted, but never actually saw, just didn’t have enough time to grow. Saeed says there are lots of delicious alternatives that can be picked earlier. "Carrots, potatoes, onions and ots of different types of beans grow well here," she said. Leafy greens like kale, spinach and lettuce do, too. Once you’ve chosen your seeds, Saeed says be patient before planting; the earth takes awhile to warm up after a long winter. "Plants need a minimum of 40 fahrenheit soil temperature," she said. In the mountains, that means planting on Mother’s Day or Memorial Day, or even in early June. That’s been one of my big mistakes: Being over-eager for the taste of a fresh tomato and, as a result, jumping the gun. Once you’ve put your seeds in the ground, it’s time for what Saeed calls “active gardening,” but she cautions against trying too hard, especially by over-watering. This is tricky in the high country, with intensely sunny days, and nights close to freezing. Evaporation levels change drastically every day. Saeed has a low-tech, inexpensive trick to make sure you’re watering the right amount. "Take your finger and go about two inches deep into the soil, and if that soil feels moist then you don’t need to water it," she said. Another challenge for mountain gardens is wildlife. Saeed says, forget about the blog posts or articles you’ve read that say animals won’t eat certain plants. She points out that the wildlife haven't read that literature, and don’t always go by those rules. You might have to just learn to live with them. The best tip Saeed claims to have for gardeners in the Roaring Fork Valley is to not expect perfection, no matter how many years they’ve been digging in the dirt. "Make so many mistakes, because you’re going to make them regardless, and if you set out to just see what works and what doesn’t, what you like to grow and what you don’t like as much, that’s a great way to get a feel for it," she said. I’ll make a lot of mistakes in my garden this year, but now, I’m hoping to harvest a little more than those few sad zucchini.